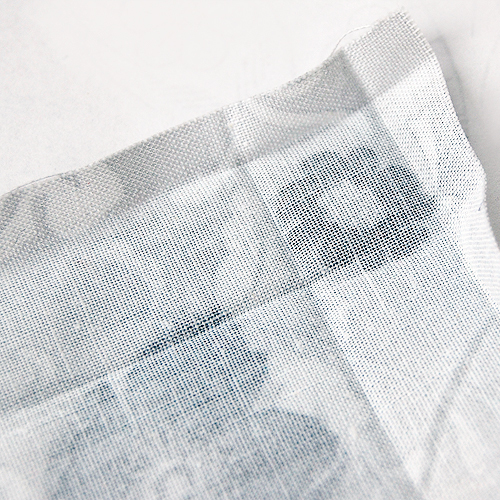 If you have been trying out any of my embroidery tutorials lately, you might be ready to try stitching onto some tea towels or napkins. You can find some of these in the embroidery department of your craft store, but it is so easy to make them yourself (it can also be cheaper and you get more colorful napkins!). A mitered corner helps your handmade napkins and tea towels to look more professionally done, less bulky and it's really easy to do! I usually use fat quarters for napkins (18"x22" pre-cut rectangles of fabric). If you prefer square napkins you can trim them. 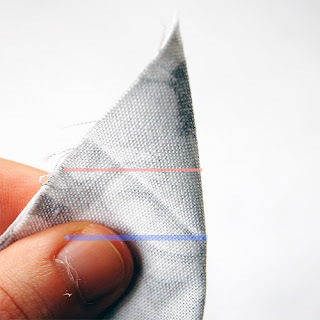 Start by folding your fabric in 1" on each side (fold so "wrong sides" of the fabric are touching) and ironing so a crisp line is visible in the fabric. Then, open these folds and iron around each side at 1/4". 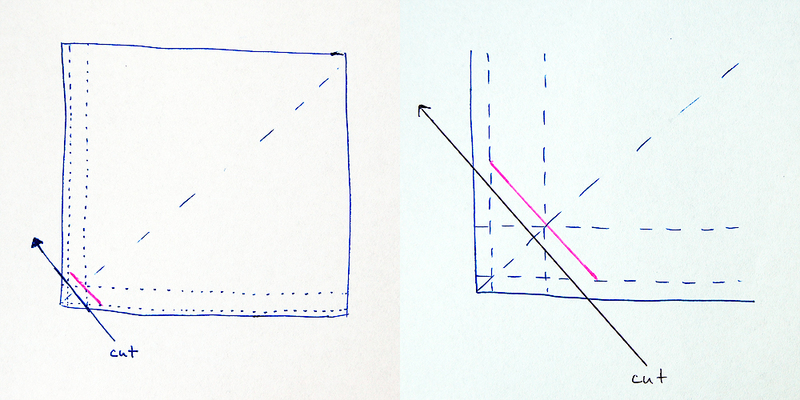 The 1/4" measurement will end up being your napkin hem, the inch measurement will be the true edge of your napkin. Once you have ironed all of your edges, you will fold your corners together (make sure to match up corners on your ironed shapes. 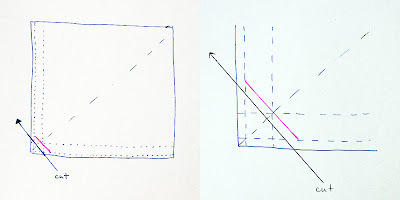 I used photoshop on the image above to mark 2 lines, the blue line is the line you will be sewing (it matches up with your 1" measurement on the interior of your napkin). The red line is where you will trim your corner before sewing, I generally do that in the center of my 1" square (corner to corner) and then trim it down after sewing. Above you can see that the fabric was cut along the red line and pinned for sewing. Above you can see the sewn corner. 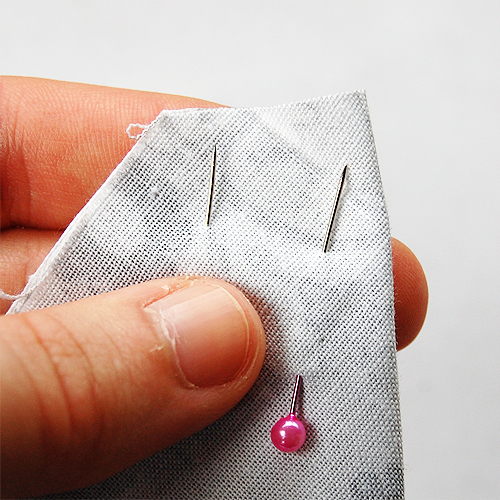 Note that you will stop at your 1/4" mark (you will need to be able to fold it over neatly for your hem - marked by the red dot. 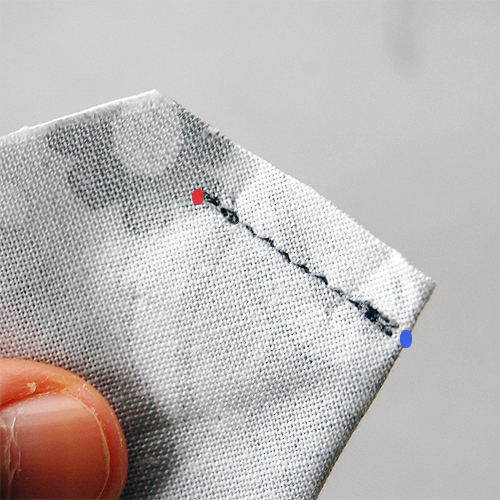 The blue dot indicates the innermost corner of your ironed 1" square, where your stitching should start (it is located on the fold). I generally use a pencil to help turn my corners out. Once done, you can fold your edges back in on your original 1/4" measurement and iron before pinning and sewing around the edge of your entire napkin to finish it. There you have it! 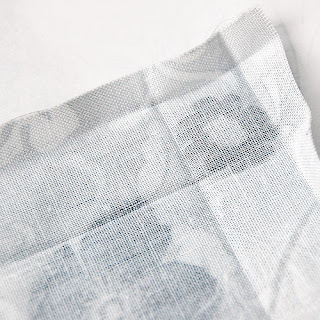 An easy napkin with a mitered edge. It takes a little bit of practice, but after awhile you can really make a lot of these in just a couple hours. 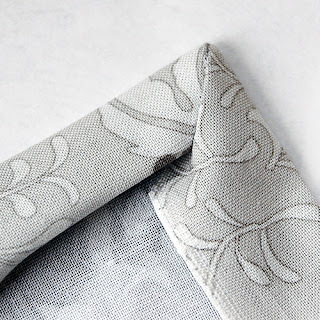 The best part is that you can use any fabric you want and make a whole set of matching or mismatched napkins (different thread colors, etc.). 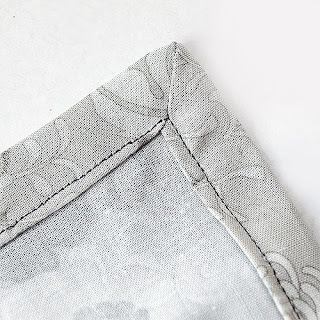 Once you make a few of these, you may notice that you essentially cut a triangle (identical size for each corner) off of each corner of your fabric, sew from the fold to the 1/4" marking, turn, press and sew around the entire napkin. Sometimes I "cheat" and only iron my 1/4" hem, cut off the corners, match up my sides and sew away (this is easiest with prefect square napkins). Everyone has their own little tricks, but I've given you a great jumping off point to create heaps of colorful napkins and towels (Hello there, quick Holiday gifts!). Background image and all original content copyright of Kari A. Morrison. Picture Window theme. Powered by Blogger.